mayra is using Smore newsletters to spread the word online. 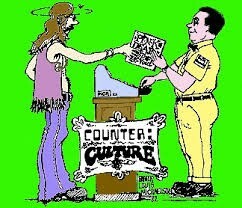 A counter-culture is a subculture whose values and norms of behavior differ substantially from those of mainstream society, often in opposition to mainstream cultural mores. A counter-cultural movement expresses the ethos and aspirations of a specific population during a well-defined era. When oppositional forces reach critical mass, countercultures can trigger dramatic cultural changes.